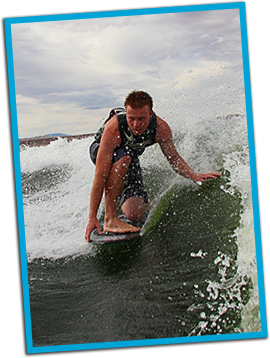 Utah, Arizona, Idaho water sports for the wakeboard, waterskiing, and water enthusiasts. Affordable boat charters and lessons. TK Watersports offers wakeboarding boat rentals / water ski boat rentals and full service VIP rentals or water sports charters, jet ski rental, waverunner retnal, RV rentals,and water sports equipment and water toy rentals. TK Watersports covers all lake and reservoirs in Utah, Arizona, Idaho, Nevada with extended service to Wyoming and California that will allow motorized boats or water sports activities. We offer water sports lesson and instruction for wakeboarding, water skiing, wake surfing, kneeboard, or wake skating. Don’t have a boat??? Don’t need one come join us on your favorite lake. Take advantage of our water sports packages for the summer. For those who may be unsure of operating their own vessel or just want to enjoy a day of water sports without the hassles of operating the boat, this may be the package for you. Available for half day rentals or full day. All the toys included along with instructor, driver. Great for large or small groups. Half days available at Utah Lake, Deer Creek or Jordanelle. Drivers are certified Emergency Wilderness First Responder and certified at CPR first aid. Charter your rental boat and let one of our professional drivers handle all the work. Avoid the stress and liability of caring for this expensive boat and spend more time enjoying yourself. Our drivers are all very knowledgeable and easy to work with. Certified in Wilderness First Responder and CPR first aid. Have a great day on the lake with friends, family and or business and leave when its all over and leave the boat and equipment clean up to us. Let our drivers/Instructors help you get to the next level. Choose your actives. Let us provide your next safe water sport event. Please call us! Many boat owners, wanting to keep their investment in tip-top Shape, and often ask “What is the best way to maintain my boat?” The answer is so simple it’s almost a no brainer, clean your boat after every use you will save yourself a lot of headaches. Buy Or Rent A Boat? One of the most exciting trends is Wake Surfing. Wake surfing is easy to learn, easier than learning surf on the ocean. Who would enjoy wake surfing? Wake surfing is low impact? What gear do I need to get into wake surfing? Don’t know how? We’ll teach you! VIP Water Sports Charters for Water Skiing, Wake Surfing, Wake Skating, Knee-Boarding, Tubing. 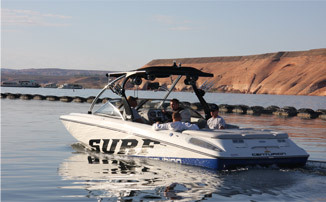 Our boats come fully equipped with the latest wake enhancement systems for the best riding experience. Features include high-capacity ballast with quick fill systems, surf plates, Perfect Pass, and Downfire Audio systems.